Indian cricketers Hardik Pandya and K L Rahul were issued show cause notice, on Wednesday by BCCI for their comments on women on a TV show that triggered a massive outrage and might prompt the Board to bar players from such appearances. 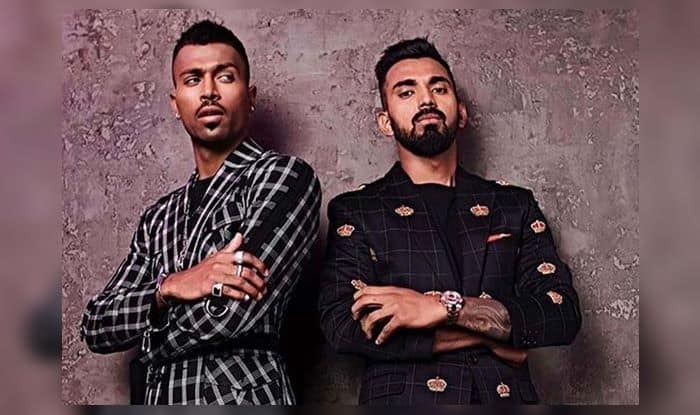 Indian cricketers Hardik Pandya and K L Rahul were issued show cause notice, on Wednesday by BCCI for their comments on women on a TV show that triggered a massive outrage and might prompt the Board to bar players from such appearances. Pandya, whose remarks on ‘Koffee with Karan’ were criticised as sexist, apologised for his remarks, saying he got “carried away by the nature” of the show. Rahul, on the other hand, has not yet responded to the criticism. “We have sent show cause notices to Hardik Pandya and K L Rahul for their comments. They have been given 24 hours to give an explanation,” Chairman of the Committee of Administrators that runs the BCCI, Vinod Rai, told PTI. Taking to Twitter, Pandya posted, “After reflecting on my comments on Koffee with Karan, I would like to apologise to everyone concerned who I may have hurt in any way.